I first tried to study the Bible on my own around three summers ago. I was young, had no idea how to study the Bible or where to begin, and I honestly didn't like it because I made it too confusing for myself. I started out by reading Exodus and just went from there. I went in numerical order, page by page; I would read half a book or so per night and would write down anything I thought was important. I had no plan, no devotional, nothing. I was confused by all the big words and got lost very easily. 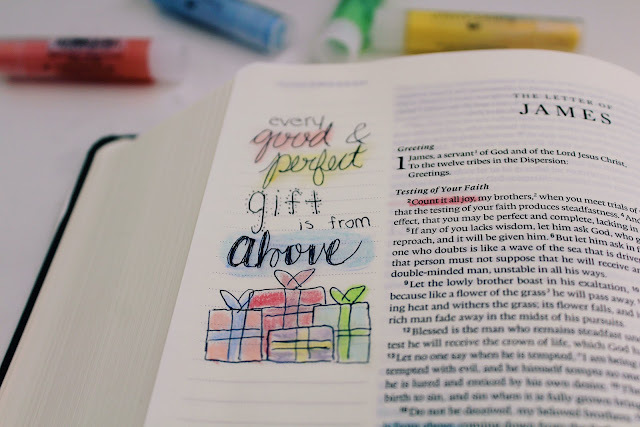 Fast forward to earlier this year, and I really started to enjoy reading the Bible. I downloaded a free Bible app on my phone, and it had a ton of free devotionals that really helped me comprehend the Bible and I grew a lot closer to God. And now... we enter present day, where I'm doing the most thorough, comprehensible study of the Bible I've ever done and I couldn't be happier! My sweet friend Ashley made me this incredibly gorgeous handmade Bible for my birthday, and it fills me with overflowing joy every time I look at it, let alone open it. 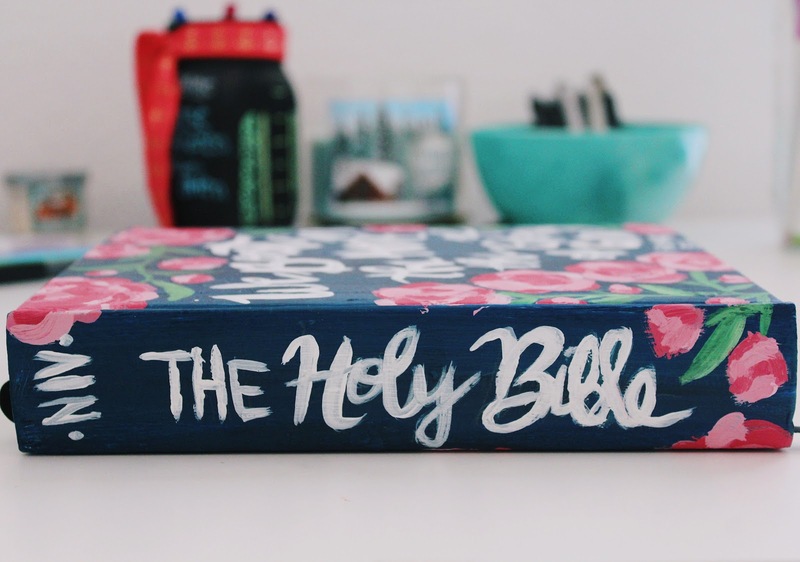 Today I thought I'd share exactly how I study the Bible, since it is definitely intimidating (I think we've established that already) but is so crucial in your faith journey. 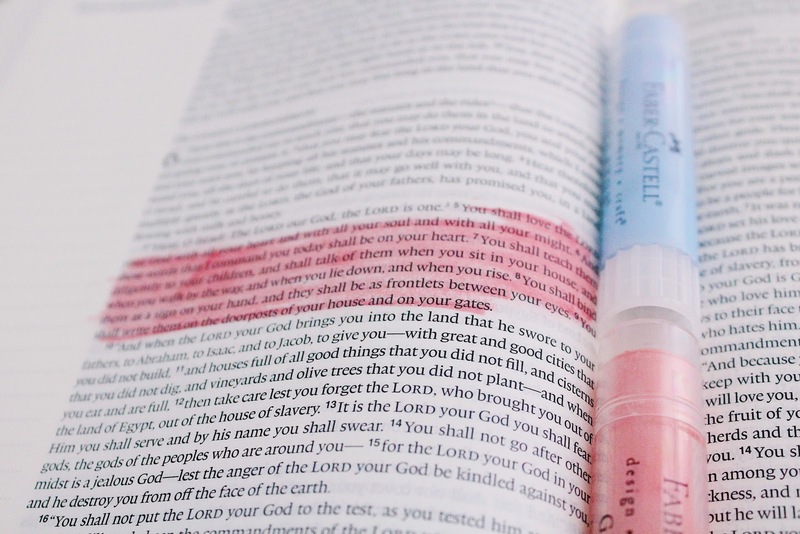 My Bible is a journaling Bible, which means it has margins on every page for you to write notes or verses that speak to you. 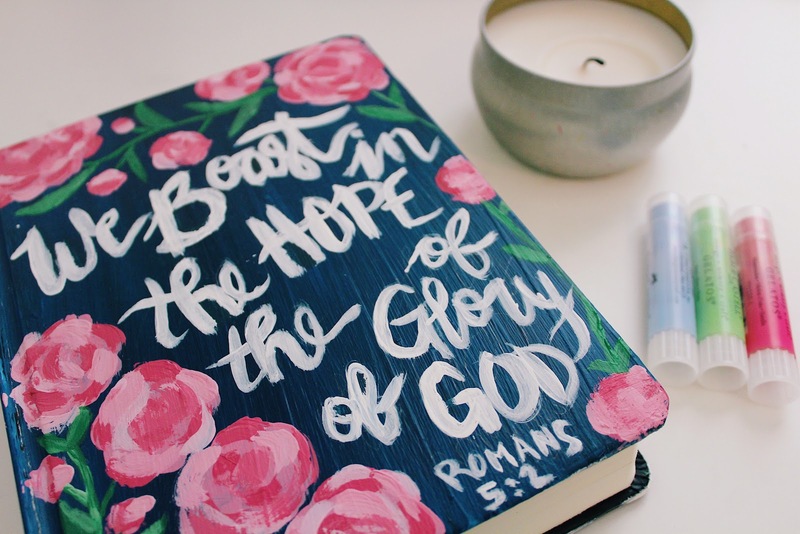 I've seen Bible journaling on Pinterest for the longest time, and I think it is such a creative way for you to express your faith! I'm definitely not the most artistic person, but my skills get better with every verse I do and I truly love sitting down to draw out a verse that really inspires me. Basically, I still use the Bible app on my phone since it has a great selection of free devotionals that allow me to study whatever topic I choose. I will pull up whatever devotional that I am currently reading, and find the verses in my physical Bible. I write down all of the verses that are part of my devotional or verses that speak to me in a notebook. 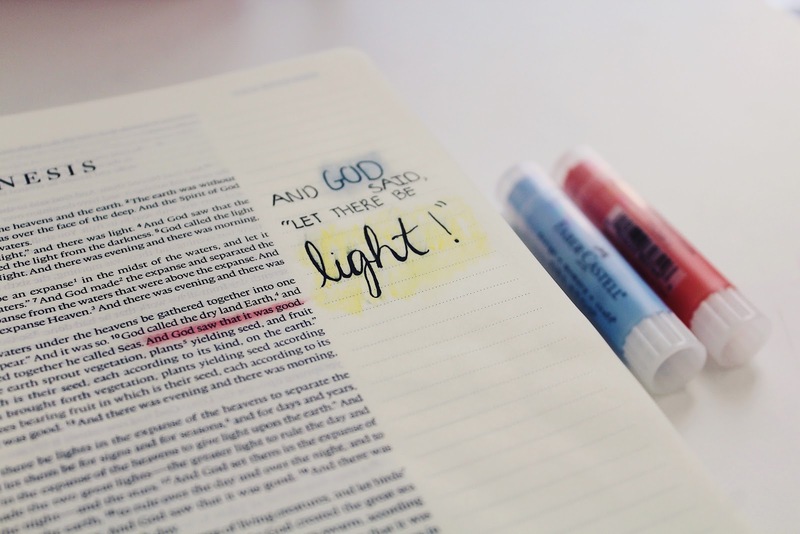 Then, I will write down the significance of that verse / what my takeaway is from that verse. After that, I write a sentence on how I can apply it to my daily life. I also read the verse of the day in my Bible app and write down my takeaway from that verse and how I can apply it to my life. 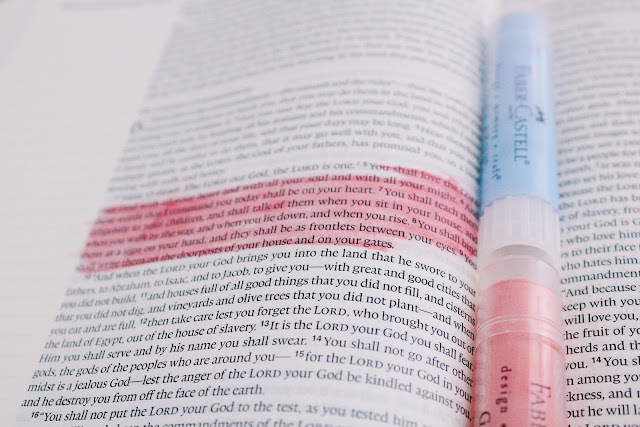 If there's a verse that really stands out to me, I will take about twenty minutes to journal it out in the margins of my Bible (I'll go more into detail about that later on in this post). 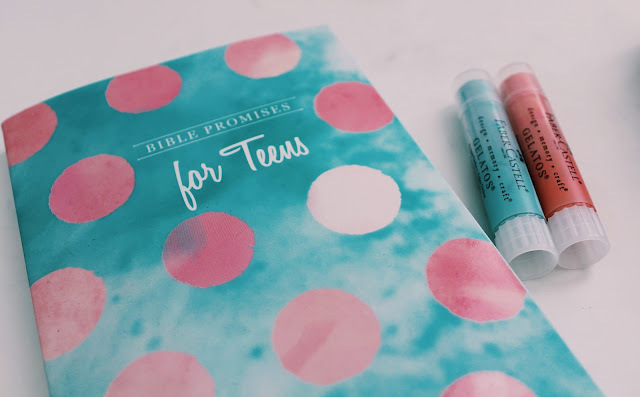 When I'm finished studying my Bible for the night (I usually study the Bible right before I go to bed) I will say a prayer encompassing all of the verses and topics I studied, and then I put my supplies away and put my Bible back onto my nightstand! I also have this cute little book of verses that I bought a few years ago at Walmart, of all places. I love flipping through it to discover new verses. As far as writing in the Bible, I have a few supplies and methods that I like to use. My favorite journaling supplies to use are the Faber-Castell Gelato Sticks. I did a lot of research as to what supplies I should get, and I'm really glad that I finally settled on these! They are the perfect mixed media tool and I love the ways they can be used. 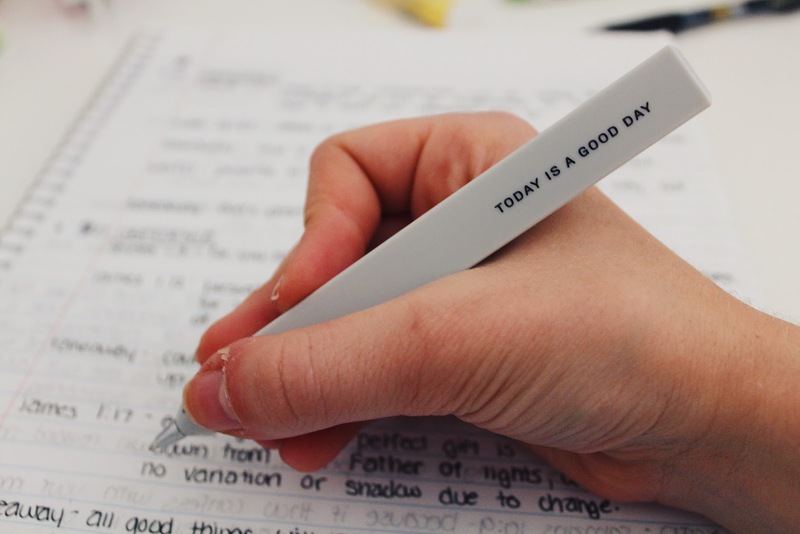 Whenever I'm journaling a verse, I will write it in the margins with a pen (these are my favorite, but they smear sometimes so I will typically use these instead) and then highlight it with the Gelatos. If I'm drawing something, I will also color it in with the Gelatos. I love the watercolor look it creates, but the Gelatos are so easy to use (think of them like lipsticks that you can color with). 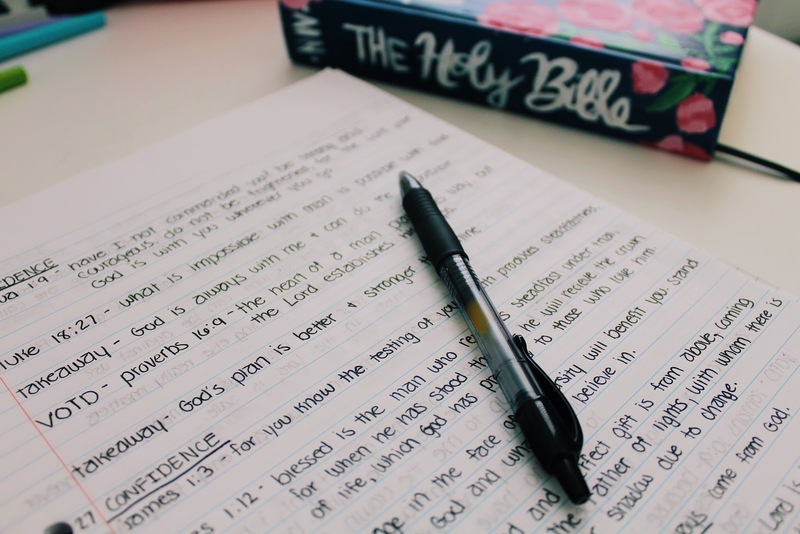 I'm still figuring out the best ways to study the Bible, so my methods will probably grow and improve over time, but I really wanted to share this post with y'all. 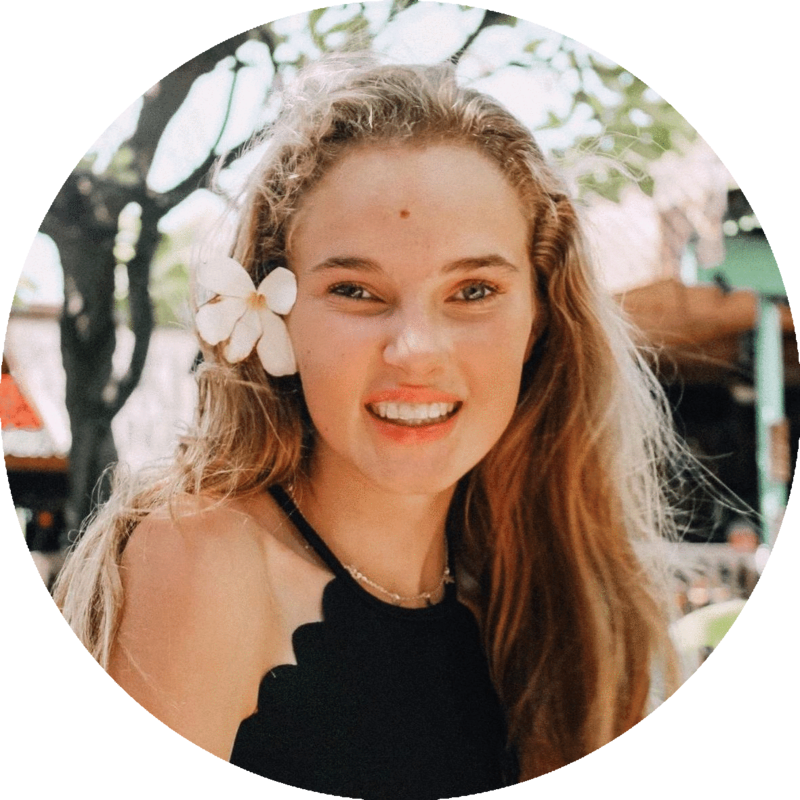 I would love to start doing more faith-related blog posts in the future, so if you have any ideas or suggestions for faith-related posts, leave them in a comment below! I would also love to hear how you study the Bible, so if you have any suggestions on other ways to study the Bible, leave them in a comment below too!